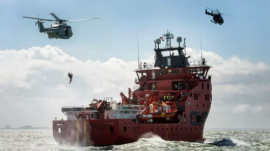 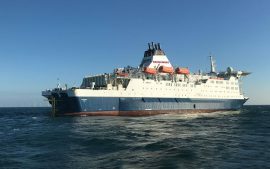 Service Operation Vessel (SOV) Esvagt Mercator took a breather from its usual activities on the Belgian offshore wind farms Belwind and Nobelwind to participate in an anti-terror exercise. 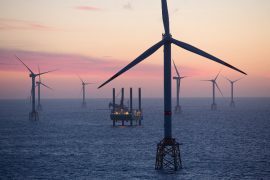 The European Commission has approved under EU State aid rules Belgium’s support of a maximum of EUR 3.5 billion for three offshore wind projects in the Belgian North Sea. 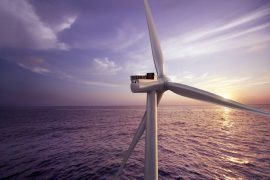 Developers of the Mermaid and the Seastar wind farms in the Belgian North Sea have merged the two projects into one – the 487.2MW Seamade. 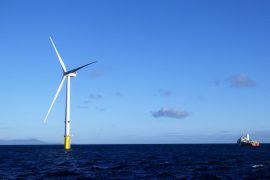 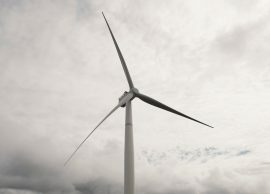 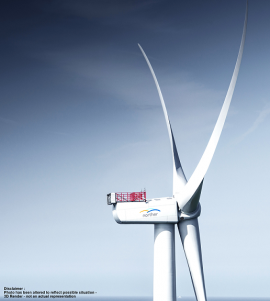 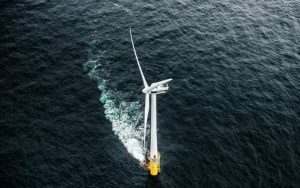 Belgium’s Parkwind and Summit Tailwind Belgium, part of the Sumitomo Corporation, have submitted a notification of concentration to the European Commission for the acquisition of the joint control over Northwester 2. 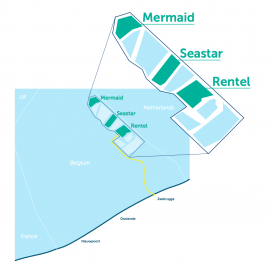 The European Commission has approved the restructuring of ownership over the Seastar and Mermaid offshore wind farms to be built in the Belgian North Sea. 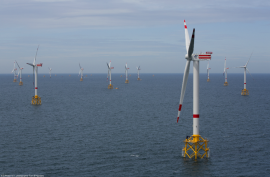 Swan Hunter has completed export cable load-in operations for a Belgian offshore wind project. 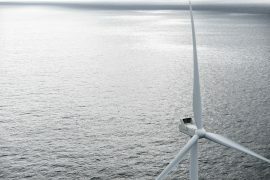 Belgian offshore wind developer Parkwind has teamed up with green energy producer Eoly, part of Colruyt Group, and gas transmission specialist Fluxys to build an industrial-scale power-to-gas installation that converts green electricity into green hydrogen that can be transported and stored in the existing natural gas infrastructure. 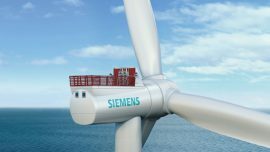 Siemens Gamesa Renewable Energy has been chosen as the preferred wind turbine supplier for the Seastar and the Mermaid offshore wind projects in the Belgian North Sea. 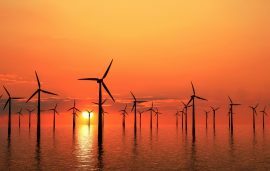 UK-based Quortus and Belgian e-BO Enterprises are collaborating on enabling an LTE voice and data solution for offshore wind farms. 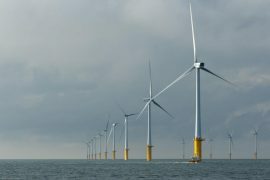 The European Commission has approved certificates scheme for renewable electricity implemented in Flanders, Belgium, saying that the scheme is in line with EU State aid rules. 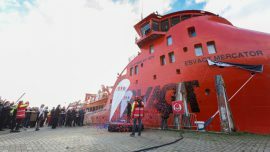 The Esvagt Mercator Service Operation Vessel (SOV) has begun the 10-year contract under which it will support MHI Vestas at the 50-turbine Nobelwind and 55-turbine Belwind 1 wind farms off Belgium. Royal Belgian Institute of Natural Sciences (RBINS) has published a report on the environmental impact of offshore wind farms in Belgium, which has 870MW in operational wind turbines in its part of the North Sea as of 2016 and plans to reach 2.2GW by 2020. 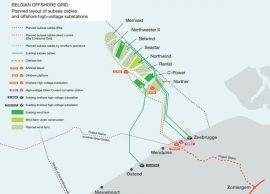 Belgian transmission system operator Elia has awarded Dredging International, part of the DEME Group, with a contract for the subsea cable installation for the Modular Offshore Grid (MOG) in the Belgian part of the North Sea. 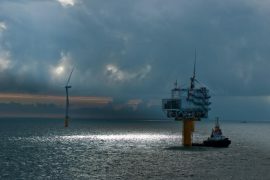 A Belgian consortium of research institutions and companies has started a project to investigate if mussels could be grown on offshore wind farms. 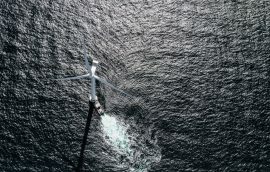 Canadian floating accommodation provider Bridgemans Services Group (BSG) has entered an agreement to provide full-service floatel accommodations and CTV boat landing services for MHI Vestas in Belgium. 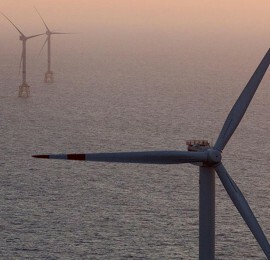 Belgian Offshore Cluster (BOC) has urged the government ”not to take any impulsive and ill-considered decisions next week” with regards to the intention of the country’s Secretary of State for the North Sea, Philippe De Backer, to cancel concessions for future offshore wind farms.